This post has been delayed for so many months now that I’m sure that most of you must have forgotten about the existence of this car. 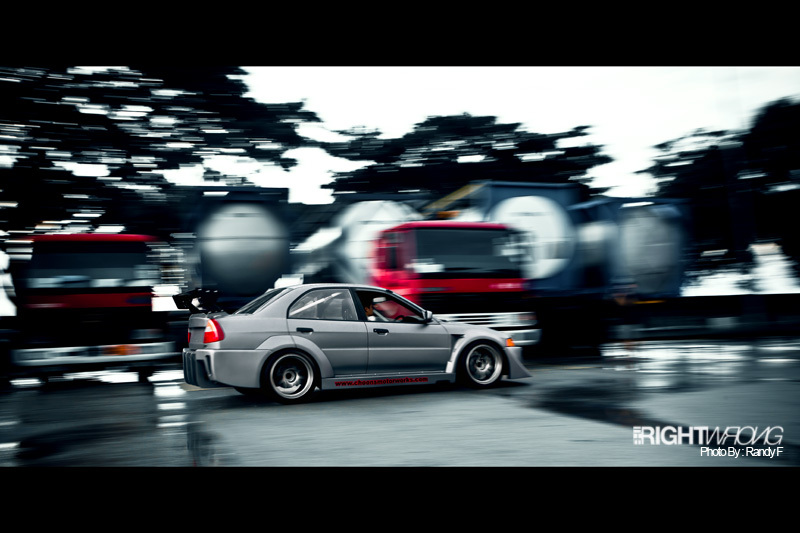 This shoot was held many months back, but the specifications of this car were ONLY sent to me two days ago. There was no point for us to upload a bunch of pictures of a random race car without providing further information and so, we chose to wait. 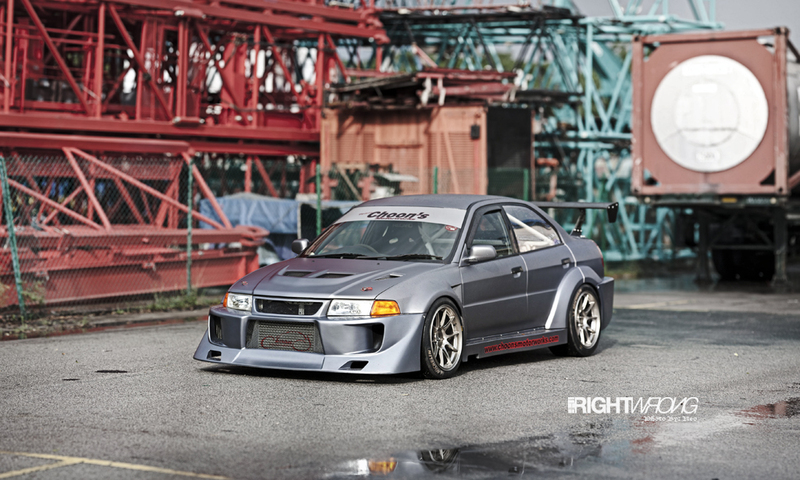 This Mitsubishi Lancer Evolution 5 RS originated from and began its life of racing in Australia. 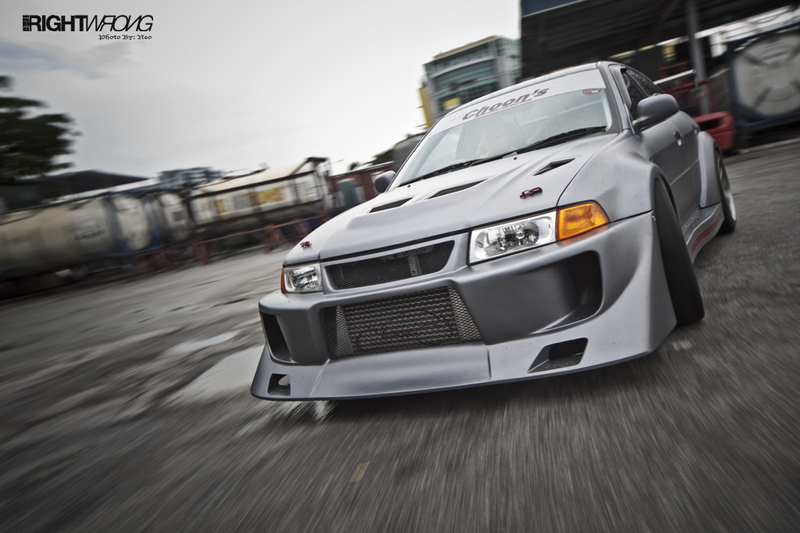 Shipped between Singapore and Australia, the Evo took part in countless carpark rallies which were held at the Kallang Stadium car park during those days. We were told that this car was once air flown to Singapore just to be able to participate in the car park rally. That flight alone cost $8,000 SGD. Nothing humble about the beginnings for this machine. 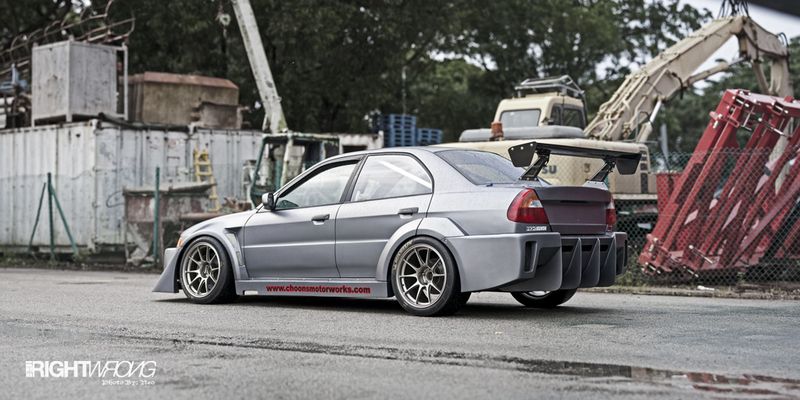 Ralliart Australia then decided that this RS would lead a better life if it was tweaked further. So they did just that and transformed it into a Group N car. Group N cars are basically race machines which are built from publicly available everyday cars. If that wasn’t good enough, Group N rally cars are allowed to be registered and street driven where this Evolution came from. 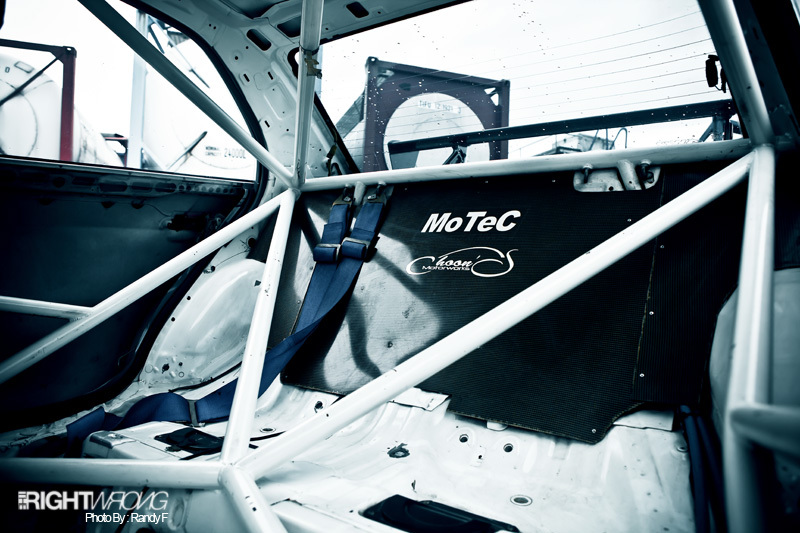 A race car, straight from the factory with a pre-fitted roll cage and licence plates. Is there any wonder that when this car was finally de-registered 3 years ago, it is now converted into the Time Attack car you see now? 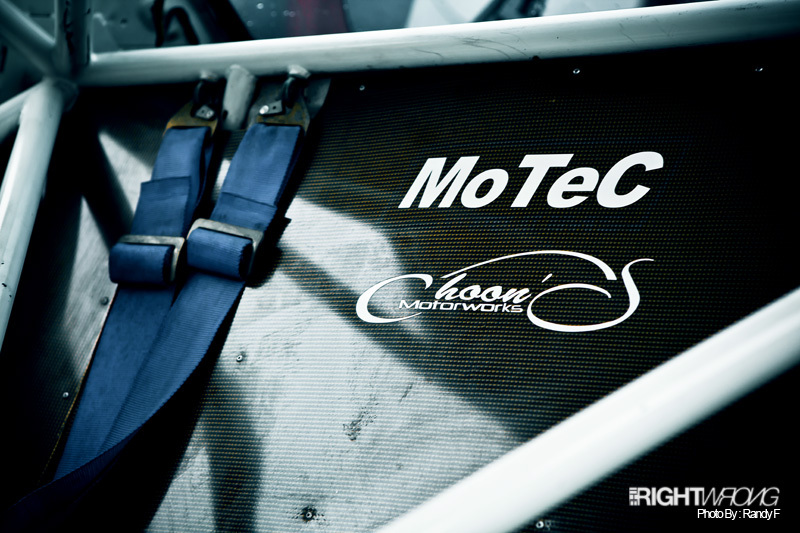 Eddie Ng from Choon’s motor works got his hands on this machine and set out to create something with the lap record of Sepang International Circuit in mind. Only the standard 4G63 block was retained and everything else was swapped out for better parts in the search for more power while maintaining reliability. 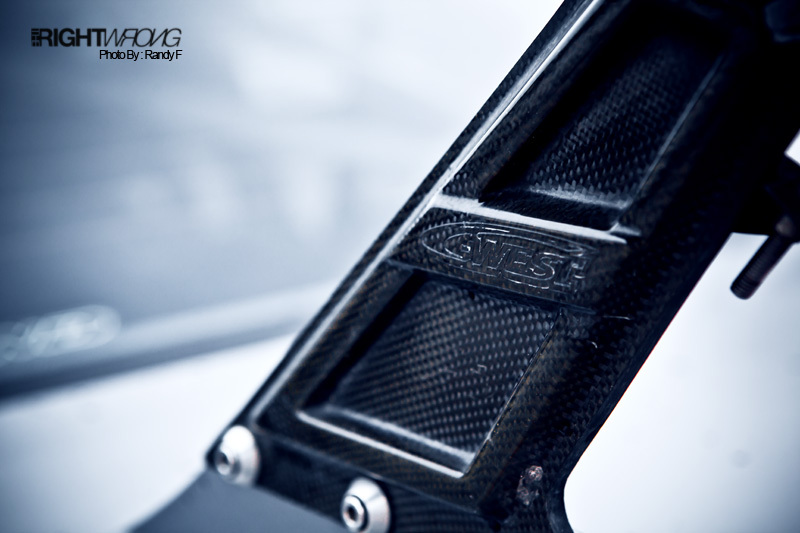 It produced a mere 530 horsepower and 600ftlb of torque @ 1.8 bar boost, tuned on 95 Octane on a HPI roller dyno. Figures which would probably go a lot higher when he decides to tune on racing fuel. Cusco 1.5 way front and rear LSD, ripped from a Time Attack Evo 9 which set a respectable 2.16 when previously built and piloted by Eddie was plonked into the Evo 5. 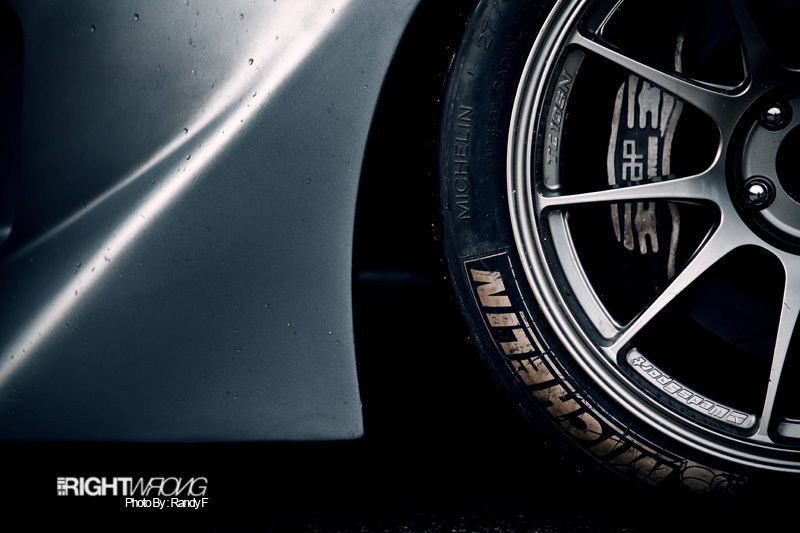 Stance is achieved by the way of Drummond Motor sports 50MM piston 3way suspension and custom springs. 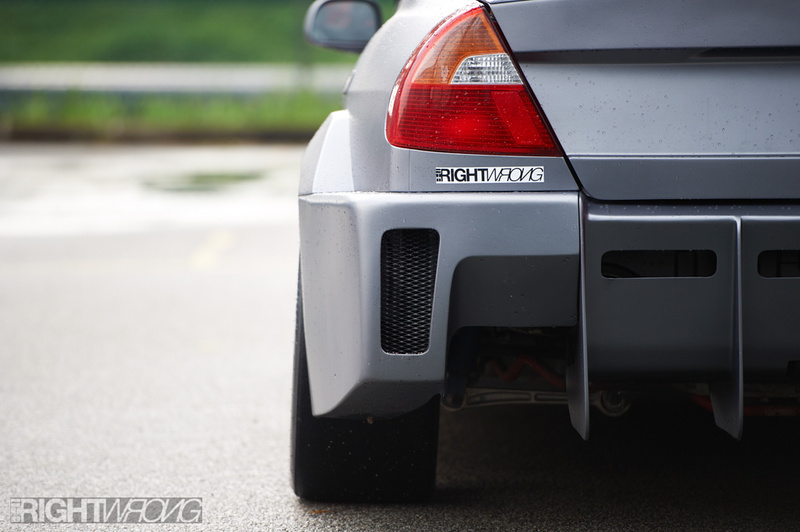 The custom time attack edition wide body, much like the previous Civic from Choon’s that was featured, was custom designed and hand moulded by Eddie’s father, Uncle Choon. 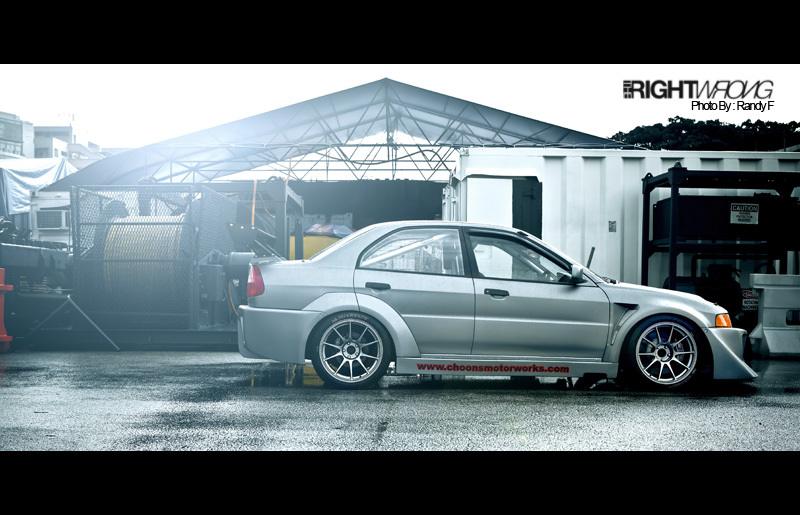 A C-West carbon fiber GT Wing and 18 x 10JJ Wedsport TC105N wrapped in Michelin full slicks completes the exterior. The rims you see in these pictures are “just” storage rims, very very expensive storage rims. 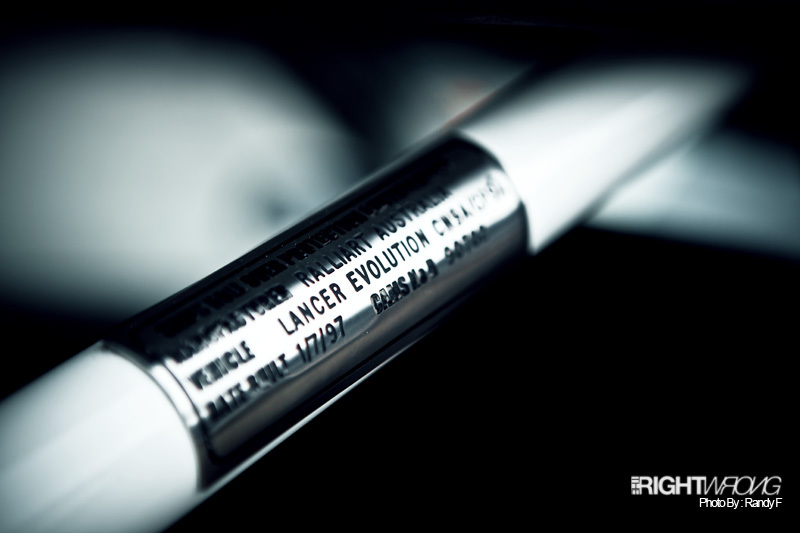 The car will be sitting on Advan RG2s and Advan A050s when brought up north for track use. The colour chosen for this car was strangely, frozen grey. 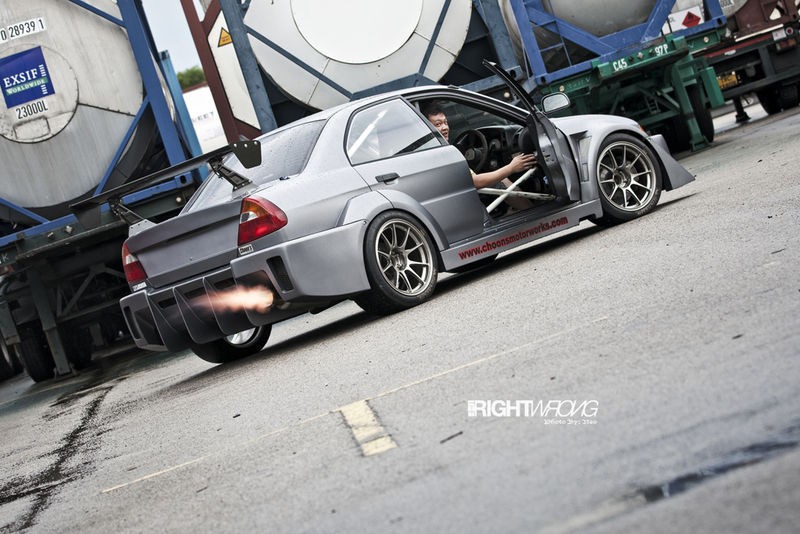 Not a colour you would normally expect from a Time Attack car but it gives the Evo that overall subtle look. the rain brought out mosquitoes, we were trying to kill some. 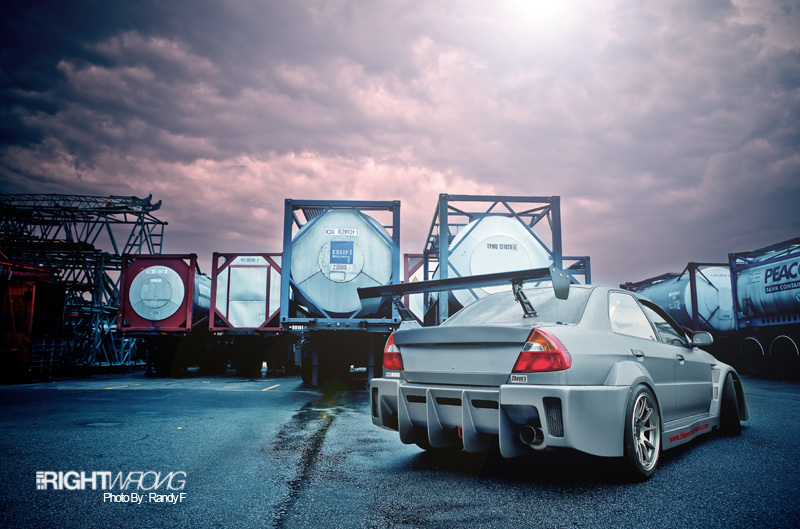 We’re looking forward to seeing this Evo attack the tracks some time in the near future and when it does, you can sure we will be there getting photos and videos. 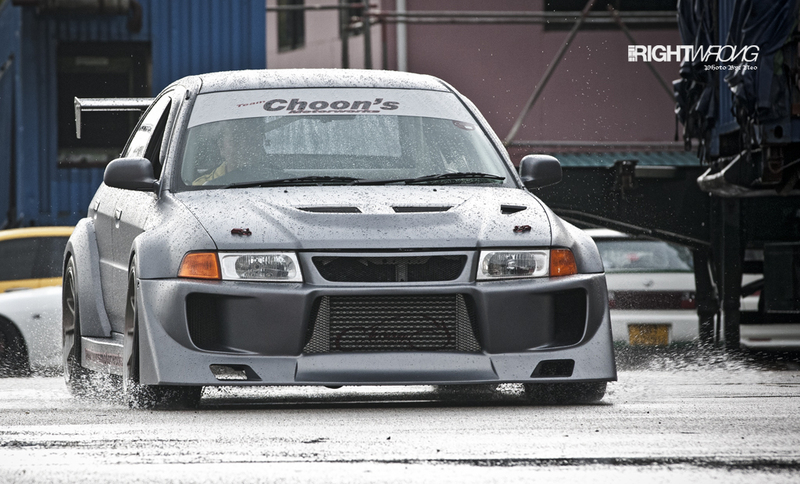 Car: Choon’s Motorworks Time Attack Mitsubishi Lancer Evo 5 RS. 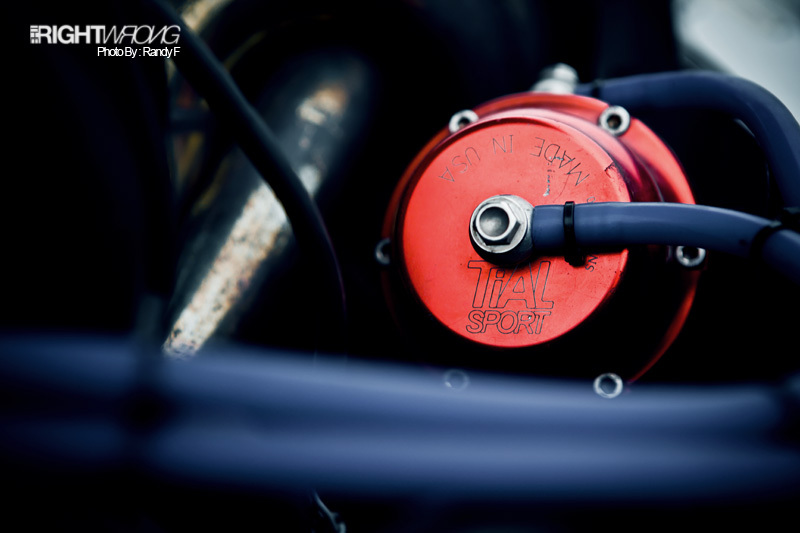 4G63, Kelford Solid Lifter Cams, Choon’s Adjustable Cam Pulleys, Ferrea Valvespring/Titanium Retainers Kit,Ferrea Oversized Valves +1mm, Custom Solid Lifters, Custom ported head,Tomei Head Gasket, Billet Stroker Crank, Billet I-Beam Connecting Rods, CP Custom Forged Pistons 86mm, ACL Race Bearings, ARP Head Studs,Tomei Anti-Surge Oil Baffle Plate, Custom Exhaust Manifold, Garrett GT35 Turbine, Tial 38mm External Wastegate, HKS Racing Blow-off Valve, Choon’s custom intercooler and piping, Custom 3inch exhaust system, Bosch motorsport dual fuel pump, Power Enterprise 1000cc Injectors, Skunk2 Intake Manifold, Skunk2 Billet Black Anodized Throttle Body, PWR Radiator, Choon’s Twin Oil Cooler Kit. Cusco Front and Rear 1.5way LSD, 4.0 Final Drive, 5speed Dog Gearbox, OS Giken Twin Plate Metal Clutch. Drummond Motor Sports/DMS 50mm piston 3way Suspension with custom springs,Ralliart Bushings all round,Roll Center Adjustor,Gab Anti Roll Bars,Ralliart Grp N Roll Cage. Front AP Racing 6Pot Race calipers with water cooling and 355mm floating discs,Rear Brembo Racing 4Pot Calipers with Titanium Pistons and 343mm discs. Endless MA45 pads all round. 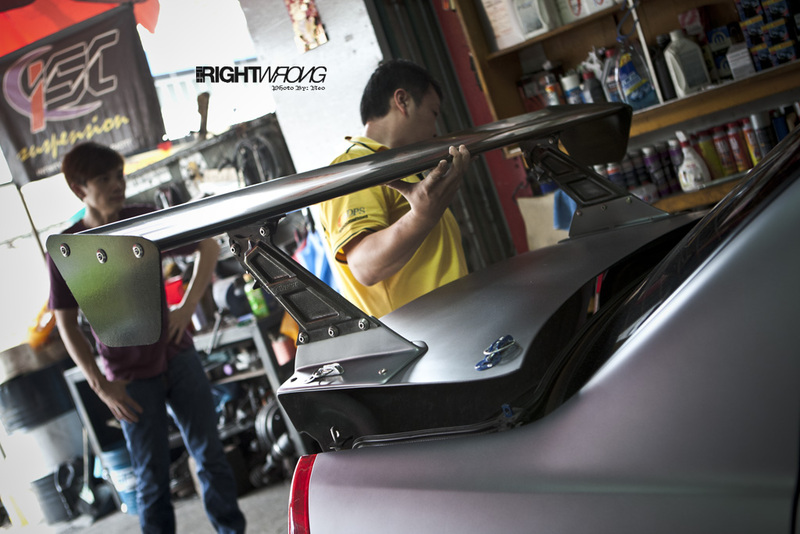 Choon’s Custom T/A Widebody Kit,C-West GT Wing,Frozen Grey Paintwork,Recaro SPG Bucket Seat,Choon’s Custom Dash Display Holder. Motec M48 Ecu,Defi gauges,HKS EVC. 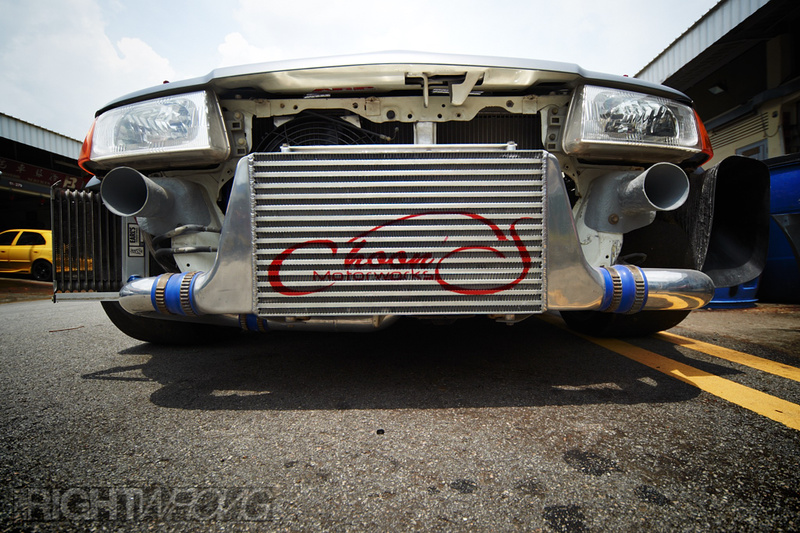 530hp, 600ftlb torque @ 6200rpm,1.8bar boost ,Tuned by [email protected]’s on HPI Roller Dyno with 95octane pump fuel.